To bring up Sierra's debug mode, press option and 'f'. If you now type 'TP' the game will ask 'Which Room'. Type in a number and you will be transported to that room. This is the only debug command SQ 2 supports. Note that debug mode doesn't work from System 6. Apple II IIGS SpaceQuest Chapter 1 By Sierra Extreme Rare Complete Great Cond. In Space Quest II we again reacquaint ourselves with our alter ego Roger Wilco, demoted to janitor again even though you had foiled the Sarien plot involving the Star Generator. But another evil scheme is afoot, masterminded by Sludge Vohaul and he wants you out of the way so that you can't interfere with his new plans. Space Quest II continued on from its predecessor as Sierra's space orientated series of adventure games, with a welcome injection of humour. As a 3D Adventure Game, you controlled your character on screen with either the mouse (click where you want your alter ego to go) the arrow keys, keypad or even a joystick. You moved your character to avoid danger, or get closer to items or people so you could interact with them. A parser is used to input commands - get, talk, give, use, show, look, etc, that follow standard English conventions: Verbs are used first, then nouns. The parser understands most things you type in and has a relatively good vocabulary that allows for synonyms. 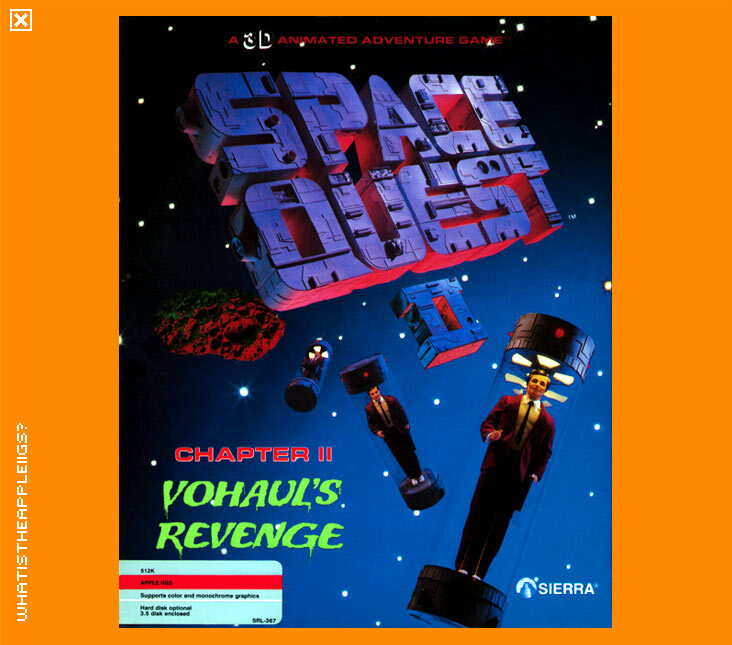 Space Quest II was my favourite of all the 3D Animated Adventure Games. 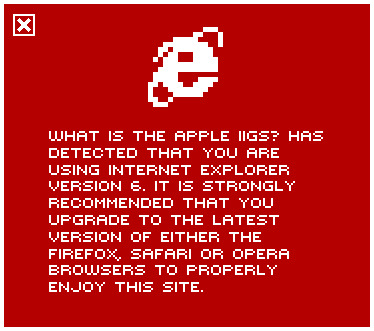 The humour was much augmented since its forebear and the I think the graphics weren't going to get any better under the limitation of Sierra's AGI gaming development platform. The music and sound effects were also very neat. It was almost like playing the game with a 320x200 resolution. Which is why the potential for playing Space Quest III was so alluring...alas, that never came about. But if anyone has any information as to why Space Quest III was listed for sale in QuestBusters magazine, specifically for the Apple IIGS, let me know!